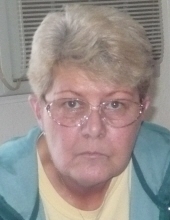 Michelle(Mickey) Webb passed into the arms of Jesus on January 24, 2019. She was born in Pontiac, Michigan to Jack and Donna Livermore on June 2, 1951. She will be dearly missed by her two daughters, LaDonna(Jason) Fitzpatrick and Margo Obholz. She was an awesome grandma and will be missed by Zachary, Leslie, Jason Jr. and James, two great-grandkids and numerous nieces and nephews. Michelle's memory will be cherished by her three sisters Pam, Pat and Tammy and two brothers, Jack and Dan. Her absence from their lives will be sorely felt by her husband of 15 years, Doyle Webb and Kaylynn, their great-grandaughter whom has lived with them for 8 years, as well as Doyle's children, Billy Webb and Debra Webb-Ivy. Visitation will take place at Sisson Funeral Home on Monday from 11am until 12 noon, the time of the funeral service with Pastor Phil Hortop of the Gladwin Free Methodist Church officiating. Private interment will take place at Highland Cemetery. To send flowers or a remembrance gift to the family of Michelle Joy Webb, please visit our Tribute Store. "Email Address" would like to share the life celebration of Michelle Joy Webb. Click on the "link" to go to share a favorite memory or leave a condolence message for the family.